The internet is a moody lover. 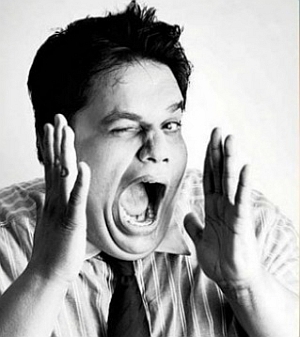 Two weeks ago, it put comedian Tanmay Bhat on a pedestal for his roughly three-minute speech on feminism. Just days later, it vehemently called him out for making an off-colour joke about some of its favourite celebrities. The 28-year-old Mumbai comic recently used the 'face-swap' feature on Snapchat to imitate cricketer Sachin Tendulkar and then singer Lata Mangeshkar. In his short video, which was shared extensively on Facebook and Twitter, he shows the two discussing cricket before trading insults and expletives. The bit was quickly dubbed offensive and disrespectful towards 'national icons.' It undid the praise Bhat won for an earlier video where he urged people to stop distancing themselves from the term 'feminism,' declaring that anyone who stood for equal rights is a feminist. Television channels and political parties, including the Bharatiya Janata Party and Maharashtra Navnirman Sena, entered the fray, demanding action against the comedian. The police sought to block the video from YouTube, Facebook as well as the long-defunct Orkut. One tabloid found it relevant to bring up Bhat's girlfriend, Rega Jha, and even led readers to erroneously believe for a day that she was the daughter of Congress spokesperson Sanjay Jha. Soon, fellow comics came out in support of Bhat. They delved into an academic exploration of what had seemed like a bit of buffoonery, explaining that his comedy hinged on exaggeration: It relied on the fact that such a thing could never happen in real life. Comparisons were made with international comedians Louis CK and Bill Burr who also operate in an irreverent fashion. Most agreed that the jokes in Bhat's hurriedly-put-together bit were average, but defended his right to make them. In another consequence of the episode, Indians of all ages felt compelled to understand the confounding app Snapchat, which is preferred mainly by teenagers. Bhat was one of the first movers in India's nascent stand-up comedy scene. Along with Gursimran Khamba, he started AIB circa 2012. It began as a comedy podcast featuring interviews and light-hearted discussions and later developed into a collective that created content and encouraged young talent in comedy. Bhat has courted controversy before the initial podcast was banned from iTunes India for being rated 18+. Last year, his team held a roast, or a mock takedown of celebrities, along with actors Ranveer Singh and Arjun Kapoor, which nearly got them arrested for obscenity. Besides being a comedian, Bhat sometimes doubles up as an activist. When issues of differential pricing in the internet surfaced last year, he became a spokesperson for net neutrality, making explainer videos, and often appearing on television panel discussions on the subject. He has also condemned the narrowing freedom of expression for comics. While much of his early stand-up routines included jokes about weight, the comedian in recent years has spoken out about how any post on social media is met with mean comments about his weight. In the Indian comedy space, matters of what is acceptable are still murky. Humour is regularly taken very seriously, with people seeking extreme action, including arrest and bans. AIB has been consistent in churning out content even if its quality is sometimes irregular. Like most comedians, Bhat and co throw a lot of spaghetti on the walls; some of it sticks, while the rest slides down gracelessly. Television show host Kapil Sharma, known for insult-based jokes on people's appearances, enjoyed rapid success for a couple of years before interest tapered off, and his ratings suffered. In Bhat's case too, the most reasonable response might have been for disenchanted viewers to hit the 'unfollow' button.